r.out.gdal --overwrite -c createopt="TFW=YES,COMPRESS=LZW" input=output1415b59dffed4d07a82eb7ffa7b96a65 output="/home/matt/.qgis2/processing/outputs/viewshed_test.tif"
r.external complete. Link to raster map created. 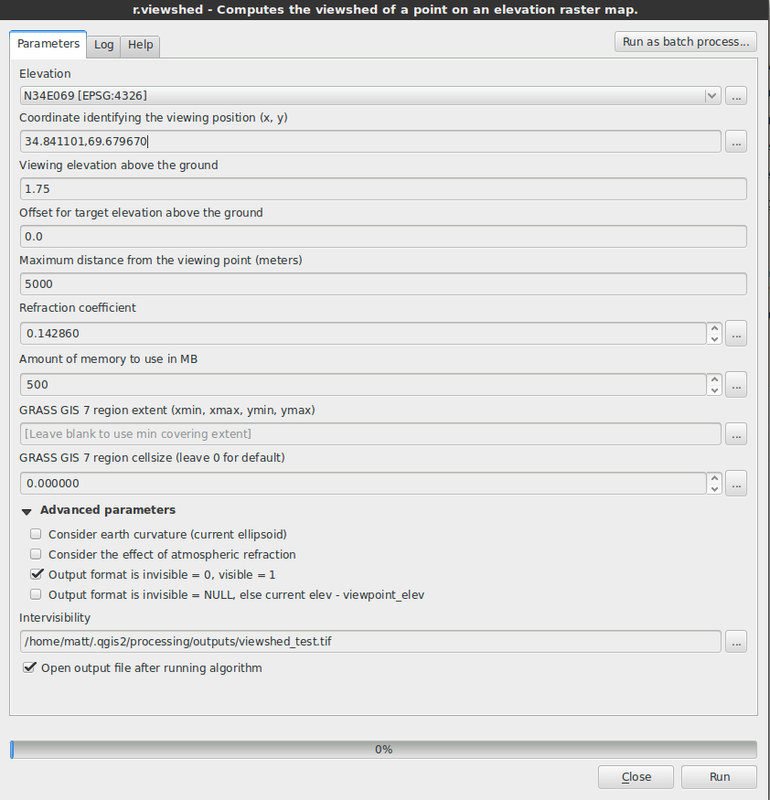 Browse other questions tagged qgis grass qgis-processing viewshed or ask your own question.